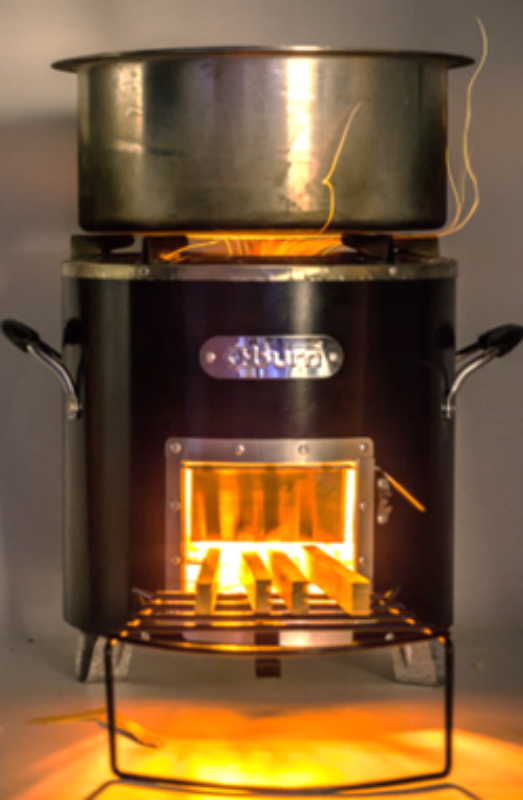 Together with a team from the Mechanical Engineering Department at the University of Washington, BDL developed the Kuniokoa natural-draft “rocket” wood-burning stove for use in East Africa. Funded by a grant from the U.S. Department of Energy and backed by an investment from Unilever and Acumen, this stove is cleaner and more efficient than any other rocket stove being sold today. Production of the Kuniokoa began in Fall 2016 in Burn Manufacturing Co.’s factory in Kenya. The stove is being sold to farmers and plantation workers on Unilever’s tea estates in Kenya and Tanzania at a cost of approximately $38. Initial user satisfaction with the stove, gauged by focus group discussions and home placement of a beta production, is very high. "This three stone has a lot of smoke plus you cannot easily move it. However, this one of yours is good because you can easily move it, even to inside a house, a stone house, in fact. It also does not use a lot of firewood, just a little, like two only, and it also cooks very fast, it’s like gas!"